Social Justice…Politics….Immigration are just some of the hot button topics that seem to pervade many of the films at this year’s film festival. We are at the preview for the 26th annual Florida Film Festival. Once again we’re speaking with Matthew Curtis, Programming Director for the FFF. The festival takes place starting this Friday the 21st of April and continues through 30 April 2017. LA: 182 out of how many possible selections? MC: 2041, that’s a record number. MC: I’ve seen every one except for an international showcase feature, called I Dream In Another Language which they were not able to get me a preview screening. But Valerie, our Marketing Manager, saw it at Sundance and loved it. It’s a film set in Mexico about a linguist that goes down to study a forgotten language. The only two people that remember the language are two guys that hate each other and haven’t spoken in 50 years. It’s supposed to be absolutely great. Valerie is so passionate about it that [Programming Coordinator] Tim and I said, “Sure, let’s do it!” The film just got picked up by FilmRise, the same distributor that’s got Manifesto and they were willing to give it to us. I still want to see it. I’m hoping for a preview link soon. But I’ve seen everything else. LA: When you say you’ve seen them all, is that all 182 or all 2041? MC: [laughs] No, I’ve not seen all 2041, otherwise you wouldn’t be talking to me. No, I’ve seen about a third of the submissions. That’s why I have six different selection committees. LA: How many people on each selection committee? LA: Three people on each selection committee. You have a lot of categories for the films. Are the categories predetermined prior to the films being submitted? 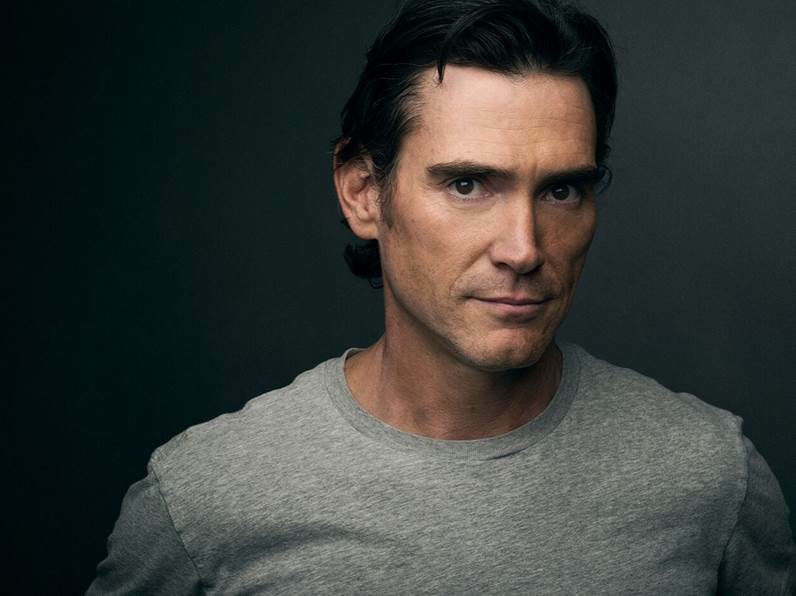 Billy Crudup Appears on Friday the 28th. LA: So do the selection committees know which category they’re going to be selecting for? LA: If you have a certain number of categories and you have X number of films, what is the process by which a film gets chosen for the festival? MC: We start looking at films in September. (Call for entries opens mid-August.) Committees start getting together in October. LA: Does everyone in every committee see every film they could possibly select? MC: Yes, unless it’s been killed already by the rest of the committee. LA: And how does a committee member, or group of committee members, kill a film? MC: At least two people see every film. Generally two to four people see every film. If two people see the film and think it’s horrible–there’s no way it’s going to move forward–then we just move on. So, minimum two people, maximum four or five. LA: I thought you said the committees were three people? MC: They are–three people without Tim and myself. LA: The four or five includes you and Tim? LA: How does a film achieve final approval? MC: Oh, we have final selections meetings starting in mid-January before I leave for Sundance. LA: Explain that meeting to me…It’s a group of who? MC: The entire committee and Tim and I. Based on ratings, we’ll have our top 30 or 40 based on ratings in that category. We’ll put them all up on the board in post-its…and…we’ll start arguing. We’ll put up for the festival what we’re unanimous about…which might be three or four out of the ten Features in competition…and the rest we’ll just fight over. MC: No, I’d rather not do that! I’m really proud of everything that’s in the festival. But some films can be unanimous…some films can be alternates. There are things we accepted for the festival that we’re not playing because we couldn’t get them. They pulled for somebody else or they were bought by a distributor and the distributor pulled them…so there’s a lot of factors that go into the programming of 182 films. LA: So give me an example of three or four films that from the moment everyone saw them they were just included. MC: Katie Says Goodbye. As soon as we saw that we were instantaneous this is absolutely going to be…it was even early in the process…this is going to be one of the best films we get. It’s in the Narrative Features Competition…Olivia Cooke, Mary Steenburgen, Jim Belushi, Christopher Abbott. We knew it was going to be one of the best films we were going to see. Strad Style in the Doc Feature competition, which went on the win the Audience Award and Grand Jury Award at Slamdance. I’d have to think about some of the other stuff. In the music section, once we saw Rumble: The Indians Who Rocked the World we knew that was a keeper. There’s no way…it was so well done…such great music…such an interesting topic that we haven’t seen before…we knew that, provided we could get it after Sundance, that it would make the festival. LA: What you’re saying is…Rumble: The Indians Who Rocked the World, Strad Style, and especially, Katie Says Goodbye are your favorite films in the whole festival! MC: NO! That’s not what I’m saying at all…NO! What I’m saying is that, on first viewing by the committee, we were unanimous on how good they were. LA: I will strike it from the record! Let it be known now and forever, Matthew Curtis will NEVER reveal what his favorite movies from the Florida Film Festival are because, as we all know, every movie is his favorite movie! MC: NO! That’s not true either. I wouldn’t say that either. Let’s just say there’s an extraordinary amount of really good films at the festival this year. There’s a lot of things that are really challenging…envelope pushing…and we’re excited about that. LA: What are the movies that are going to be the most talked about this year? MC: The Cate Blanchett film, Manifesto. LA: What makes that so special–That’s in the Spotlight? MC: Yes, that’s in the Spotlight. Well, we’ve never seen anything like it before. She plays 13 different roles. The whole narrative comes from manifestos, writings and essays from 20th century thinkers; including futurists, dadaists, people like Jim Jarmusch, and it’s brilliant. It’s also very challenging and demanding for the audience. LA: What film are you a little nervous about? MC: I’m not nervous about Manifesto, we’re only playing it once. I think it will have more walk outs than most of the other films in the festival. We’ll see. We’ll see. It’s just extremely challenging. 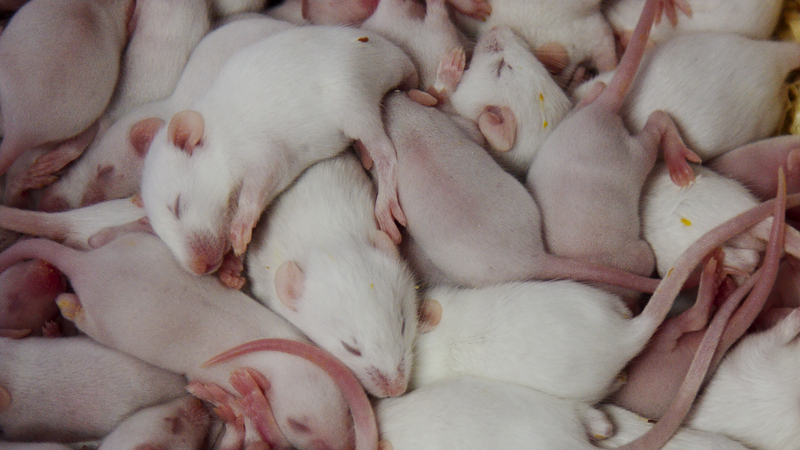 There’s a film in the Doc Feature Competition, Rat Film, about inner city Baltimore that’s really interesting and it’s experimental–kind of a hybrid documentary that’s challenging and fascinating and really, really, interesting. The midnight stuff is crazy. That trailer we showed for Bad Black which is from Wakaliwood, Uganda. It’s like Mystery Science Theatre 3000. The film’s made for $200. It’s a school of filmmaking in Uganda where they recycle footage and use tons of green screen and it’s narrated like MST3K. It’s absolutely insane. LA: What is it about this year’s film festival that is really unique or that you’re proud of or that will really stand out? MC: I think this year’s festival might be a little more political than previous years; a lot more films dealing with human rights issues, social justice, it’s our most international festival ever. LA: There seems to be a lot of films dealing with immigration issues. MC: Yea, there’s immigration, refugee issues. We’ve got a lot of things that are really gonna blow people away. There’s more countries represented this year, 40 countries, than ever before. Last year I think we had maybe 32 countries represented. LA: How long have you been with the FFF? MC: Since the beginning–this is my 21st year as Programming Director. But I’ve been here all 26 years. LA: 26 years ago, how many films were there, approximately, and how many were from other countries? MC: Not a quarter of the program! What is interesting is even a lot of domestic films that are in competition are films that were shot in other countries. Like we have films in the American Independent Competition Shorts Program, one is shot in Venezuela, it’s a kidnapping thriller, One’s shot in Germany, there’s another film, Red Apples, that takes place at an Armenian wedding–there are even films that are “technically” domestic films (because they’re USA production money) or made in USA grad schools or film schools, but they’re shot overseas. So I do think there’s more of an international flavor than ever before. LA: Didn’t one of the films have what looked like an American film and it looked like a lot of Muslim characters and they were speaking Farsi? LA: The one who was nominated for an Academy Award? MC: No, the other guy (Barkhad Abdirahman) he’s coming…the actor’s coming. It’s set in the Somalia refugee community in Minneapolis–as if, like, everybody knew that! It’s a Muslim community. A young man is basically thrown out of his house. He’s homeless. And he ends up befriending a stray dog; how their friendship helps him get through it. That’s in Somali and English both. LA: What makes a film considered Domestic or International? MC: Where the production money comes from–it’s where the majority of the production money originates from. LA: Okay, and in conclusion, give us an update the expansion planning for the Enzian, a project you refer to as “Enzian Forever”. MC: We just cleared a parking hurdle–which is great! We’re like four and three quarter million raised out of the original budget of six million. But it’s been a couple years now so that’s probably gone up. I think we’re still a couple years away, but we’re moving forward. Things are positive. Hiring David Schillhammer as the new Executive Director, he’s been very successful in the arts as head of the Philharmonic for 16 years. David is very well liked and respected. I think that was an excellent move. LA: There you have it, ladies and gentlemen, the update on this year’s 26th annual Florida Film Festival with Festival Programming Director, Matthew Curtis. It’s going to be fabulous. If you are going, please leave a comment and let us know which films you are seeing and why. Or, write your own review or synopsis of the film you just saw. Let’s join the conversation about our favorite Film Festival. This entry was posted on April 19, 2017 at 6:36 pm and is filed under Art Community. You can follow any responses to this entry through the RSS 2.0 feed. You can leave a response, or trackback from your own site.